Winnie has certainly won over our hearts. This silver café in my town. My job feels a lot like that, minus the spiritual enlightenment part. How do they transport it to the ocean? I saw this once at RISD and they blew the sand once the design was completed. It’s very emotional to watch. The anticipation of the design being completed over several days is real and watching them take one breath the moment it’s complete only to blow it away is literally breath taking. AFAIK they’re just sweep it off the table, not throw into the ocean. After all it is just alot of colored sand. Some monks did this at my high school about ten years back. 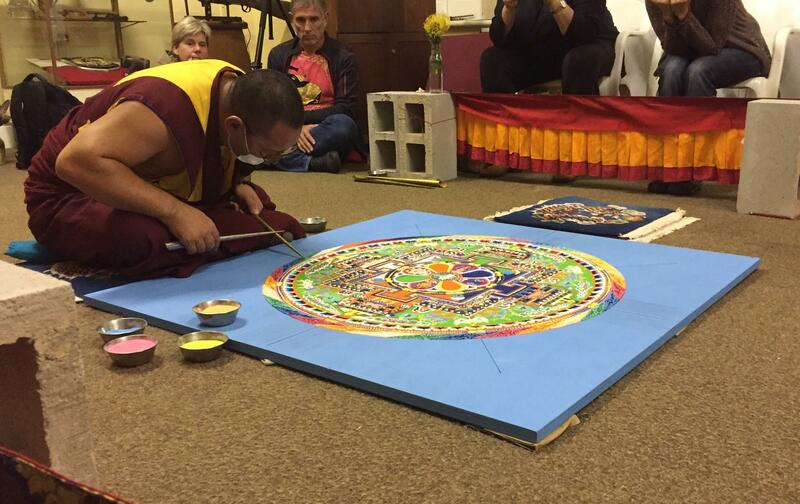 They were hosted by the Students for a Free Tibet club and made a mandala in the lobby over the course of a week, then destroyed it on Friday. I’d completely forgotten about the whole thing until this post jogged my memory. Meet Snickers the destroyer of gardens. You must be potty-trained to drink here.